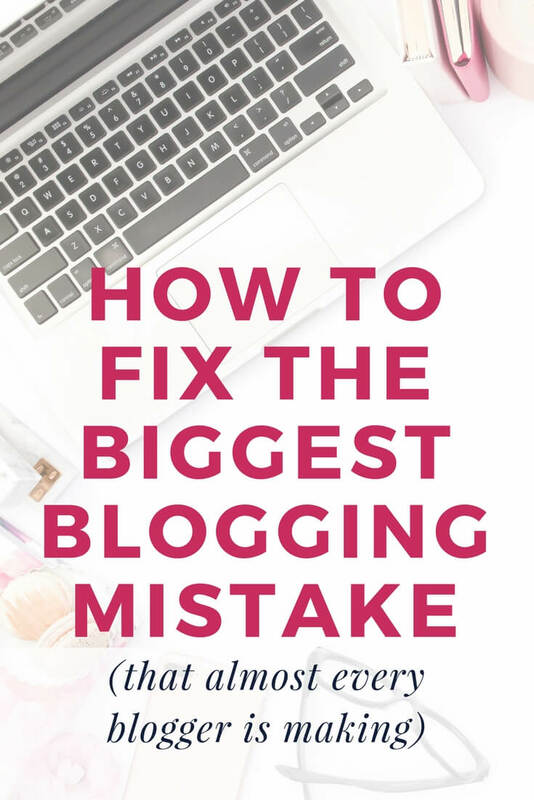 Are you guilty of the biggest blogging mistake that nearly everyone makes? I was! But I fixed it and you can, too. Today I’m going to tell ya’ll about my biggest blogging mistake (there were several, but this one’s the biggest)! Back when I started my blog, I poured my heart and soul into social media. Oh, I spent hours cultivating those likes, followers and shares. I engaged. HARD. I was on Pinterest, Facebook and Google+. I was in social sharing groups. I was so diligent. And then, one day something changed on Pinterest. I saw a decline in my traffic. Other bloggers saw even bigger declines. The blogging boards and groups I followed on Facebook were all abuzz theorizing what was going on. Everyone had a trick or a theory on how to get your traffic back up. Follow people so they'll follow you back–you need lots of followers! Okay, you get the picture. Everyone and their Aunt Sally had a theory on how to “fix” the Pinterest problem. But you know what? It wasn’t really about fixing the Pinterest problem. My blog was suffering because Pinterest changed its algorithm, and it had ever right to do so! So Pinterest wasn't the problem. The problem is that I had invested way too much time into a platform that I couldn't control because it didn't belong to me. How many of us try a dish at a party and hear someone say, “I got the recipe off Pinterest”? I’ve even heard bloggers say it, too! See, all those Pinterest, Facebook, Twitter or Instagram followers aren’t really your blog readers. They are your Pinterest, Facebook, Twitter and Instagram readers. Yes, your readers may follow you on social media. They might “like” you or retweet you. But until they visit your blog, they’re not really YOUR readers. Do you see the difference? As a blogger, your focus should always be connecting with your audience and increasing your readership. You may get distracted and focus on “vanity metrics”—statistic such as searches, likes, followers and even blog traffic, but in my opinion (and there are a lot of experts out there that will support me on this, so if you don't trust me, just Google it!) there’s really ONE number you should focus on: Your email subscribers. Your email list is going to be filled with YOUR PEOPLE, or as my friend Ruth at Elite Blog Academy likes to say, they are YOUR RAVING FANS. Those are your readers. They love YOU. Ya’ll, they are your true audience and they are who you want to attract and talk to! The want to hear from you because they connect with you as a person and because they connect with you, they want to consume your content. They think your ideas are so terrific in large part because they like YOU, so they wait for your email to arrive in their inbox (or at least, they pause for a second before they delete it, lol!). You can read more about my EBA journey by clicking here. Neglecting your email subscribers is the biggest mistake you can make as a blogger. Your followers on social media don’t belong to you. They could decide to “unlike” you or “unfollow” you on a whim. 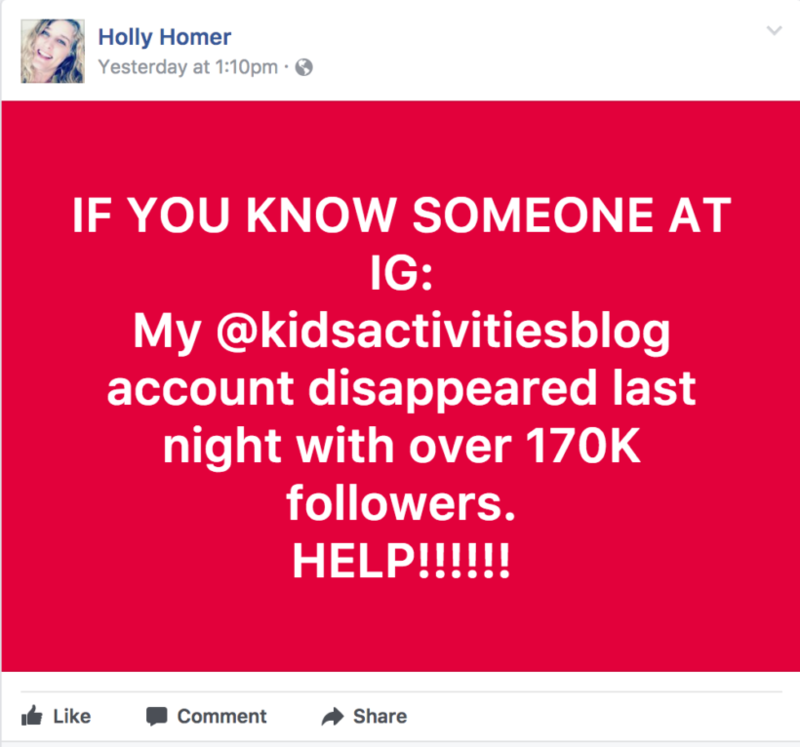 The structure of Facebook or Instagram could change and your followers might not even see your posts in their newsfeed. Ever. And then there are glitches that happen and cause problems like this (it's a screenshot I took from my Facebook feed a while back). Can you imagine the panic you would feel if that happened to you?! And it absolutely could. Pinterest, Facebook, Instagram, Twitter, etc. could rock your world in a single second. If you are relying heavily on social media and neglecting growing your email list, you’re making a HUGE mistake. I know because I've done it. So, I've already confessed to you that I was one of those “vanity metrics” gals. I could tell you on the spot how many followers I had on social media platforms, but number of email subscribers? “Uh…. maybe a few thousand? I’m not really sure.” Not only did I not know how many email subscribers I had, but I certainly wasn't emailing them and nurturing a relationship with them (we'll call that my second biggest mistake). I didn't learn about the value of my email list until I went through Elite Blog Academy. It made me WAKE UP and realize that I was living at the mercy of social media that I had zero control over. It also taught me the logistics of how to build an email list (because there's a lot more to it than just throwing up a “subscribe here” box, but more on that later). 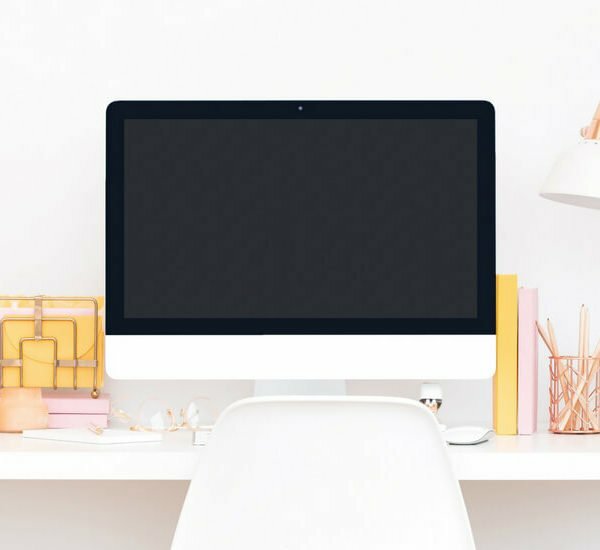 Though I understood the importance of growing my email after learning about it in Elite Blog Academy, if I'm being totally transparent, it still took me a long while to REALLY get serious about building my email list. But now I'm hooked. Seriously. As I write this, I have over 62,000 email subscribers and that number grows every single day. My email list is the only piece of my business directly connecting me to my audience. I have a connection to each and every one of my loyal readers, right in their inbox. The biggest key to building your email list is to give your readers value. We all know that nothing in life is free, right? Why then do we expect people to hand over their email address without the promise of something excellent in return? Create a printable guide. Offer your readers a shopping list or a list of necessities for their pantry. Give them a budget tool that really works. Create gorgeous labels to organize their spice rack and offer them those babies for FREE. Better yet, create a course or a series of valuable lessons your readers will enjoy for a few days in a row. Build your relationship by giving them something of worth. When you gift your readers with quality rewards for “opting in” to your email list, you’re building trust. You’re helping them realize you want to connect with them and become friends. You offer valuable insight. You’re helping them with their problems. I don’t know about ya’ll, but I always open emails from valued, trusted friends—especially when they’re there to help me with a dilemma. I'm not here to teach you the nuts and bolts of growing your email list. It's pretty in depth and really needs to be learned from a high-quality course, (Elite Blog Academy is the best one out there and it teaches soooo much more in addition to growing your email list). In EBA, I learned exactly what I needed to do to to grow my email list. Not only that, but I also learned the importance of crafting beautiful emails that would get opened, read and clicked on. I learned alternative ideas for connecting with my audience, like segmenting my list and tailoring emails to what they wanted to read. It was a total game-changer in so many ways. You can read my candid opinion about who should and should NOT take Elite Blog Academy by clicking here. So Should I Just Give Up on Social Media? Shifting your focus away from social media doesn’t mean ignoring it completely. 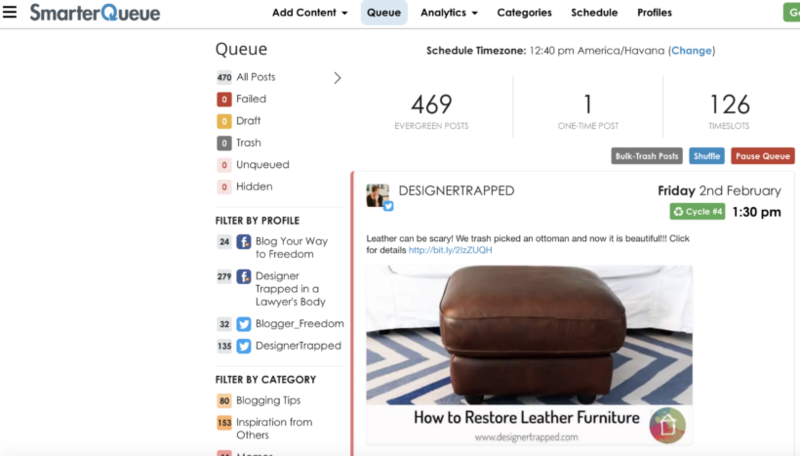 Pinterest will still help you drive traffic to your website. 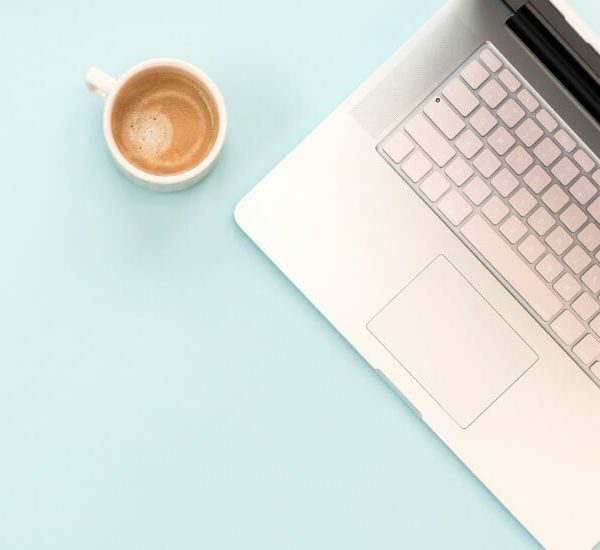 Facebook and Instagram are still necessary when working with brands, plus readers expect it and they’ll look to connect with you through social media. In other words, social media is not bad. It’s actually a big part of your outreach. It’s just that it shouldn’t be your sole or primary focus. Your audience needs more than that. They need a way to get to know you on a personal level. So, I don't ignore social media, but we've significantly cut down on the amount of time we spend on it so that we can focus most of our growth efforts on email. So, at this point we have 99% automated Facebook and Twitter. We use SmarterQueue and it's amazing because it allows you to create evergreen posts that constantly cycle through your “queue” without ever having to do a thing. After we built up our initial library of content, now we simply add new blog posts as they are released to our queue. So, we spend less than 5 minutes a week pushing content out to Facebook and Twitter. We've also significantly improved our efficiency when it comes to engaging with our social media followers. We use a tool called SproutSocial to engage with everyone who reaches out to us and comments across our Facebook, Twitter and Instagram channels. 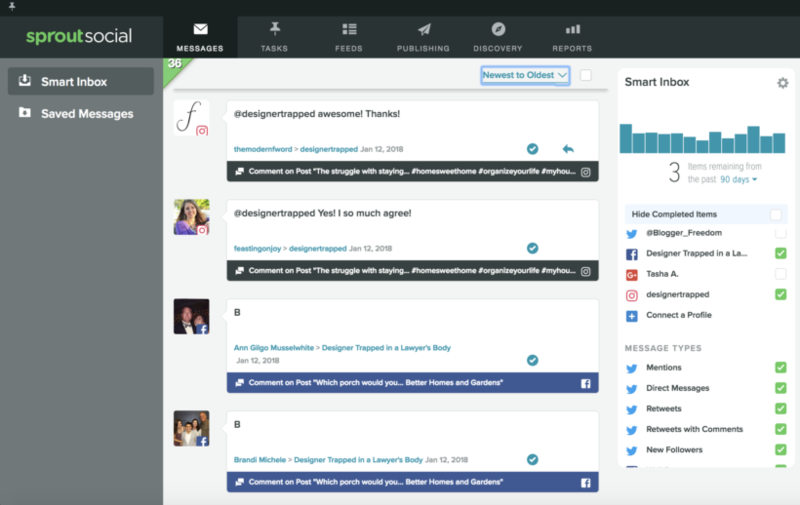 It's AH-MAZING because it pushes allllll of our comments across social media platforms into a single “inbox” and we can respond to all of them without ever living SproutSocial. It's far more efficient than going to each app separately. None of us know the secrets of the next big Facebook or Pinterest update. The only thing that is CERTAIN is that algorithms changes will continue to happen and those could negatively affect your blog. So, think of building your email list as a great insurance policy for your business. No matter what happens or changes, your list belongs to you and only you can control what happens to it. 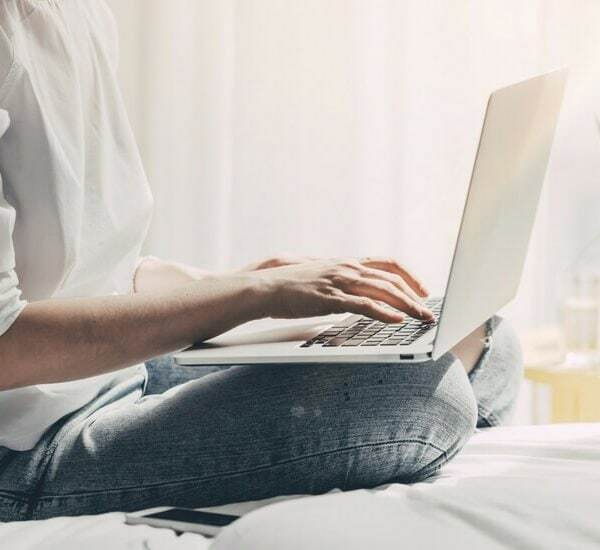 And if you want your blog to become really successful, the best way to find your die-hard fans and connect with them is through their email inbox. Crafting each email to my readers is a labor of love. To be honest, once I thought of it as the way I really connect with my readers, it’s become much easier to write. When I know there’s someone out there waiting to open my message, I’m excited to send it! So please, shift your mindset to focus on the importance of your email list. 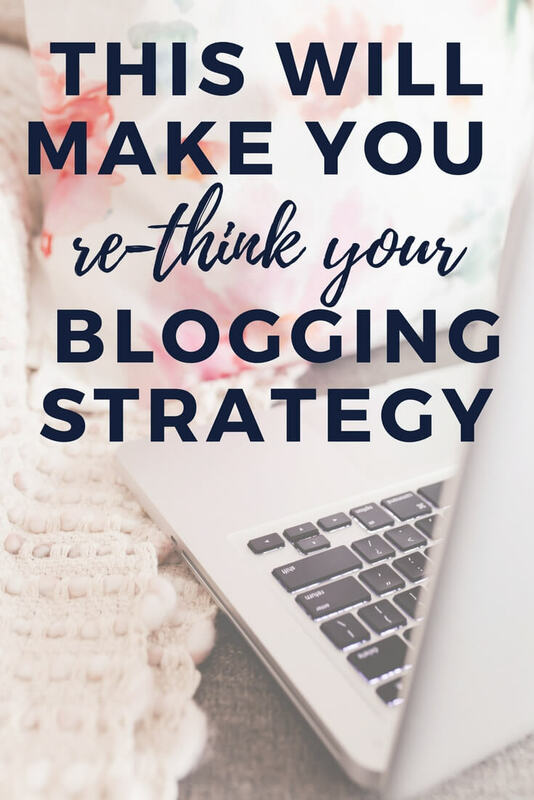 I promise, the next time you hear other bloggers freaking out about the latest Pinterest algorithm change, you’ll be so glad you did.